On April twenty-sixth, Dollard and his men were swearing their way through the Carillion Rapids. The Rapids got their name from the lovely sound the water made in mid-summer like the euphonious jingling of bells. In April, the name didn&apos;t apply. Part of the rapids were deep in a gorge surrounded by high rock walls, and when the turbulence flashed through the gorge, it sounded like an avalanche. But that section lasted only a hundred feet and actually could be avoided if you took a wider route into the river. Coming down-river the water opened like a huge fork. 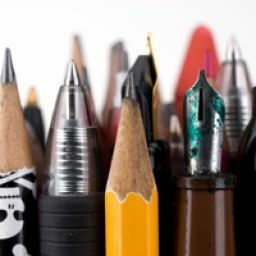 The banks of the river were the outside prongs of the fork, and there was only one other prong, near the north shore. It was a long, high and fairly wide prong of rock, and this is where the water sounded the worst. But Dollard and his men were going up-river. Still, they had to pull into land early to avoid the eruption of water and shallow (or hidden) rocks at the bottom of the rapid. The men portaged on the north bank, and the roar was deafening. They heard the pounding of the rushing river below them, and they saw the white water being lifted, flung up, and disappear as it dissipated in the air. They saw only that white water because the sky had clouded over, and the moon had gone; they could hardly see the man in front of them. The lack of moonlight had made them lose another night&apos;s travel; they had spent two nights climbing the Carillion Rapids. Towards dawn, they approached the wide river where they could take to the canoes again. You could go almost anywhere in this country on the water, you could travel for two thousand miles. Except for the portages. In the summer, the canoeists would do anything to avoid a portage. If it was too shallow to paddle they poled-- took eight foot or even 14-foot poles, which they had lashed to their canoes, and pushed their way up-river. If they couldn&apos;t pole, they lined walking along the shore pulling the canoes on ropes. If they couldn&apos;t line, they dragged -- got out of the canoes and half carried the canoes up the current in the water. They would do anything to eliminate a portage, or at least shorten it. The river was far too cold to drag in April. It was even too cold to launch the canoes properly -- from the water -- and so the French launched them by shoving away from the land, which meant they damaged their canoes often. The Indians, however, took off their winter moccasins, stowed them in the canoe or tied them to the gunwales, launched their canoes from the water. They dried their feet in the canoe and put their moccasins back on. But in the dark, on uncertain ground, with the rush of the current and the short temper of these canoeists, that kind of sacrifice was not easily made. Dollard and his men launched from rocks and took their chances. Repairing the canoes seemed to be time lost only from rest but in April the days, though lengthening, are still short and the nights, their traveling time, was long. The time stolen from rest took its toll. When the frustrations of the journey-- stubbed toes, whacked shins, missteps into the water--befell tired men the language got worse, and the portages did too. Moving time was lost. 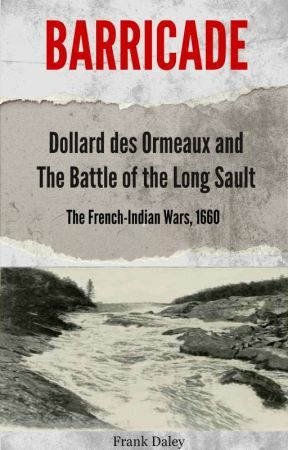 Dollard and Robert Jurie agreed that they still had time to get to the Long Sault, but they didn&apos;t want to waste any. Secretly they dreaded an advance Iroquois party that would ambush them. It was the eighth day of the expedition. The men were in excellent spirits even though they constantly complained about the portages. Weary after the Carillion Rapids portage and nursing bumped heads and shins, they made camp. Some went to get firewood easy to find in April. The winter wind knocked all the dead branches from the trees, so it was merely a matter of picking them up. In the Huron villages, the women gathered all the firewood for the year in a few days.